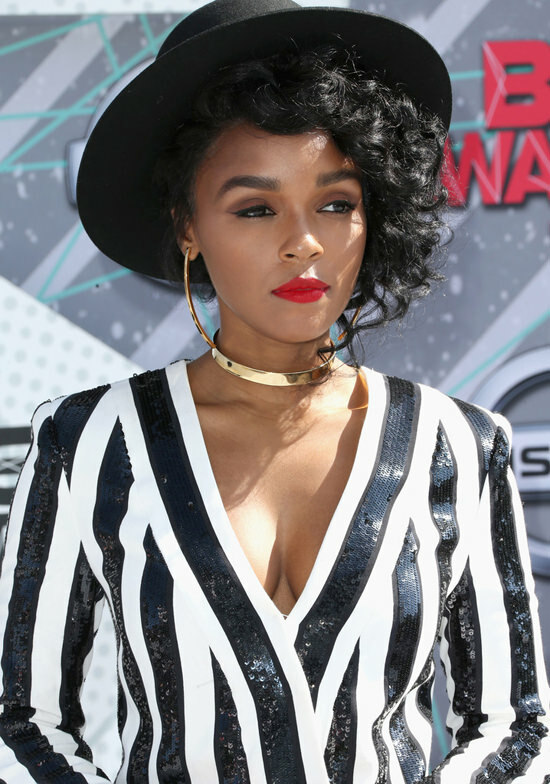 Janelle Monae lives for black and white with a subtle pop of color. In this beauty look she pair a matte red lip. Monae switches up the eyeliner look by going heavier on the bottom lash line with a thin wing. To finish off the look, she keeps her brows thick with a golden brown eye shadow look. Andra Day went for a retro look with lots of color and dramatics. Day goes for a matte orange-red lip color with a dramatic eyeliner look. Day uses a dark eyeshadow to blend with the liner to create a thick cateye complete with bold lashes on the top and bottom lashlines. Yara Shahidi goes for a lovely highlight and natural sunbeam glow with her beauty look. Shahidi takes on a beautiful rose gold pink shade to dust across her eyelids creating a slight ombre effect to the brow bone. She uses the same color to add a pinch of color to the cheeks and a glossiness to the lips. Alicia Keys gives us all of her natural beauty as she continues her No-Makeup campaign, even on the red carpet! Alicia shows that makeup is never a necessity, but simply a tool to express yourself and show off your assets. What were your favorite beauty looks from the 2016 BET Awards?